Below is a brief overview of our scientific research findings to date based on rigorous, peer-reviewed studies. Citations are noted in parentheses; for example: (1). These correspond to the citations listed in the References section at the end of this article. As our understanding of these topics is constantly evolving, these findings may change as new data become available. For more detailed information about these findings, see this article by Director of Research Julie Beischel, PhD. For an overview of current and ongoing projects, click here. A mediumship reading appears to involve a complex dynamic between the sitter, the medium, and the invited deceased person. Each can potentially impact the success of a reading (2, 12). Some mediums, under controlled laboratory conditions, can report accurate and specific information about deceased people (6, 13). The experience of receiving communication from the deceased is different than retrieving psychic information about the living. Thus, these might be different tasks and mediums may be actually communicating with the dead (8, 10, 14). Mediums may have unique psychological or personality characteristics when compared to non-mediums (5). Electroencephalograms (EEGs) of mediums suggests that the experience of communicating with the deceased is different than remembering or imagining (9). Thus, claims that mediums are fabricating information or recalling facts are not supported. In addition, because mediumship involves the mediums talking and using facial muscles, EEG, which is susceptible to muscle movement artifacts, may not be well-suited for studying this phenomenon. Experiments exploring the neuroscience of mediumship using different brain imaging techniques are currently in the planning stages. Survey findings have demonstrated that mediums have a significantly higher incidence of autoimmune diseases and a significantly higher general disease burden than do non-mediums (7). Examining various components in the mediums’ blood as well as basic psychophysiological measures showed that no hematological or physiological changes were seen when comparing a reading condition to a control condition (7). A link between disease prevalence and childhood trauma in this population has been proposed (4, 7). Preliminary research has demonstrated that receiving a mediumship reading may have a positive healing effect on those who are suffering from grief after the death of a loved one (3, 11). However, further research is needed to draw any strong conclusions. Using a fully-blinded protocol similar to that employed to test mediumship accuracy during readings for deceased people, exploratory and on-going research has demonstrated that some mediums can report accurate and specific information about deceased companion animals as well (1). 1. Beischel, J. (2012, June). Anomalous information reception by credentialed mediums regarding non-human animal discarnates. Presented at the 31st Annual Meeting of the Society for Scientific Exploration, Boulder, Colorado. 3. Beischel, J. (2014). Assisted after-death communication: A self-prescribed treatment for grief [Extended abstract]. Journal of Near-Death Studies, 32, 161–165. 4. Beischel, J. (2015, May). Assessing hematological and psychophysiological correlates of anomalous information reception in mediums. 34th Annual Meeting of the Society for Scientific Exploration, Rockville, Maryland. 5. Beischel, J., & Boccuzzi, M. (2017, February 15). Spirit talks and spirit walks: After-death communication in the laboratory. Forever Family Foundation [webinar]. 7. Beischel, J., Boccuzzi, M., & Tassone, S. (in press). Hematological and psychophysiological correlates of anomalous information reception in mediums. EXPLORE: The Journal of Science & Healing. 8. Beischel, J., Rock, A., & Boccuzzi, M. (2013, June). The source of mediums information: A quantitative phenomenological analysis. Presented at the 32nd Annual Meeting of the Society for Scientific Exploration, Dearborn, Michigan. 10. Rock, A. J., Beischel, J., & Cott, C. C. (2009). Psi vs. survival: A qualitative investigation of mediums’ phenomenology comparing psychic readings and ostensible communication with the deceased. Transpersonal Psychology Review, 13, 76–89. 11. 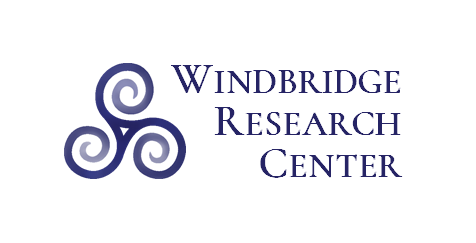 Windbridge Research Center. (2017). The potential therapeutic benefit of mediumship readings in the treatment of grief [Fact Sheet]. 12. Windbridge Research Center. (2017). Receiving a mediumship reading: Recommendations for sitters [Fact Sheet]. 13. 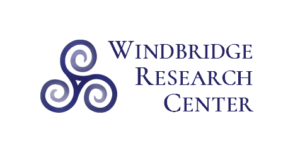 Windbridge Research Center. (2017). Testing mediums’ accuracy under controlled laboratory conditions [Fact Sheet]. 14. Beischel, J., Mosher, C., & Boccuzzi, M. (2017). Quantitative and qualitative analyses of mediumistic and psychic experiences. Threshold: Journal of Interdisciplinary Consciousness Studies, 1(2): 51-91.